If you’re searching for ham crock-pot recipes for Easter or other special holiday, you have to try the Best Crock-Pot Ham Recipe ever! The secret to this crock-pot Easter dish is a special beer and chutney glaze. I've been making a version of this recipe for crock-pot ham since 2004. My kids insist that I make it every Thanksgiving and Christmas, too. I love making it because it's a super easy crock-pot ham recipe. 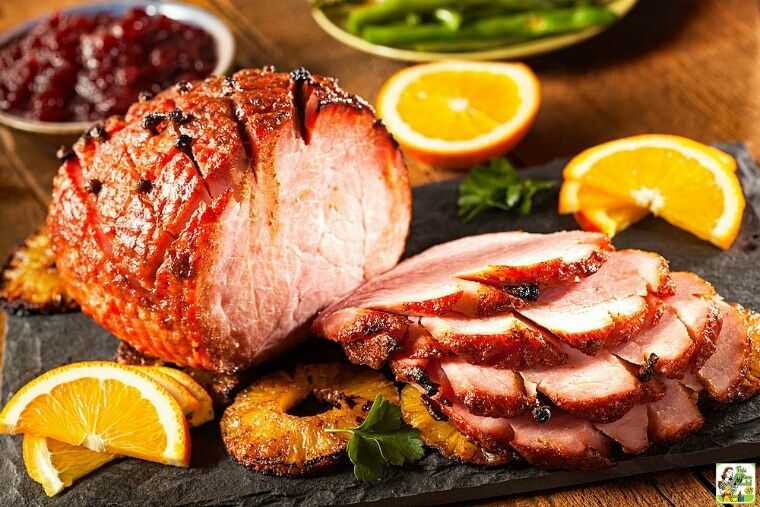 Spiral cut ham is a great option for any holiday you don't want to spend all your time cooking. That's because it's already precooked and pre-sliced, and just needs to be heated up and given a bit of flavor in a slow cooker. 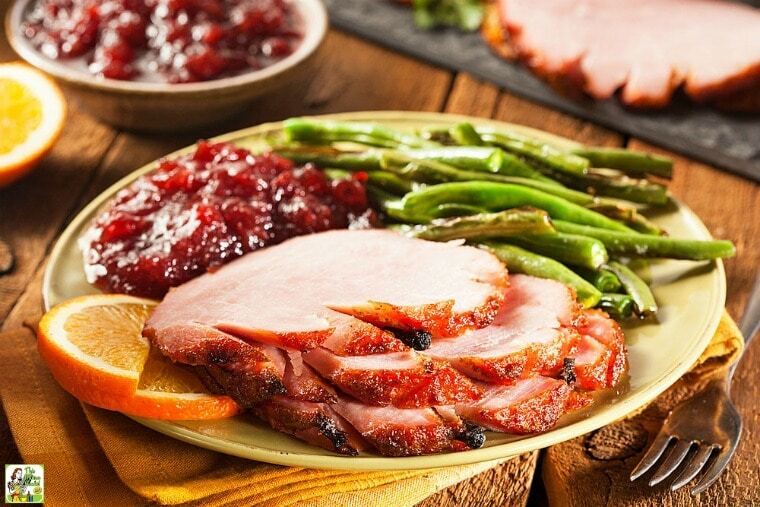 You don’t have to be an expert in the kitchen to make a delicious recipe for Easter dinner (or any holiday or special occasion) with the Best Crock-Pot Ham Recipe with Beer and Chutney Glaze! The spin to making this slow cooker ham recipe “almost homemade” is creating a spicy beer glaze that’s an easy and more wholesome alternative to the scary sauce packet that comes with your ham. 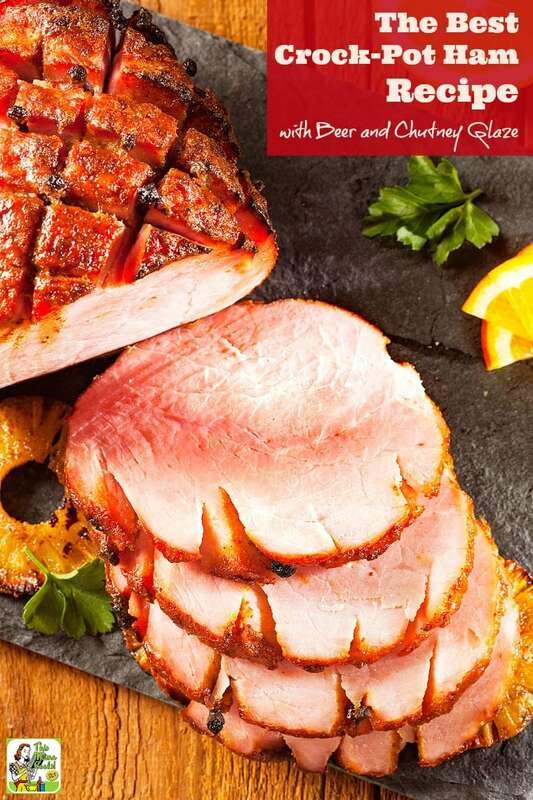 You can make the Best Crock-Pot Ham Recipe with Beer and Chutney Glaze gluten free by using a gluten free beer. (Another option is using a gluten free hard cider.) If you don’t drink alcohol, regular cider or apple juice is a delicious and wholesome substitute – and naturally gluten free as well! Crock-pot ham recipes are also terrific to serve at brunches and sports watching parties. Plus, you'll have plenty of leftover ham for sandwiches, ham and eggs, omelettes and quiche! This Mama’s tips for making the best crock-pot ham recipe ever! For crock-pot ham recipes, you’ll need to make sure that your crock-pot is big enough – or your ham small enough – to use the lid. I try to find a ham that’s big but flat. If it doesn’t quite fit, you can cover the top with several sheets of heavy duty aluminum foil. If you cannot find chutney at your local supermarket, use a cup of mild mango salsa plus a cup of peach or apricot preserves. For a roasting rack, I use two small, round cake racks at the bottom of my slow cooker so the ham doesn’t stick to the ceramic insert. During the various holidays when spiral cut ham is on sale, buy an extra one to freeze. Then you can use this crock-pot ham recipe during the summer, too, when it’s too hot to use the oven to cook. Serve the spiral cut ham on hamburger buns with BBQ sauce mixed with the chutney glaze – soooo good! I also love leftover ham in salads, don’t you? Trim off any excess fat. Place ham on a metal roasting rack or trivet in a 5-quart or larger crock pot or slow cooker. Cover and cook on LOW for 5 to 6 hours or on HIGH for 2 1/2 to 3 hours. Remove tongs and metal rack from your slow cooker. Pour off and discard pan juice. Return ham to crock pot. If cooking on LOW, change setting to HIGH. Place chutney in a small bowl. Stir in mustard and beer. Pour chutney and beer mixture over ham into the crock pot. Cover and continue to cook for 30 minutes, basting every 5 minutes with the chutney and beer mixture. Transfer ham to a warm carving platter or a cutting board. Cover with foil and keep warm with a clean dish towel. Let stand for 15 minutes before uncovering and slicing. Spoon chutney and beer mixture over ham when serving. Originally published December 12, 2004. Updated with new photos and information.